RCNS - Out and About with our Donations. In recent articles about the good we are trying to accomplish with our money, you will have noted a few photos that resulted from our modest donations to the Norfolk Community Help Centre. Herein, is an unsolicited letter received from the NCHC Director, indicating the gratitude they feel and the impact that our donations have. Yes, our gifts may be small in value but as you can read, they are relatively large in resultant impact. Sometimes, the sincerest appreciation comes from the most unassuming of sources. It seems that soon after our Moms and Tots program wraps up each year - as it did last week - we are eager to share the successes we have experienced. The first people we want to inform are those who have helped us get here - like the Rotary Club of Norfolk Sunrise. We were disappointed with the challenging news this year that as a result of some policy changes, a substantial amount of funding we have received in the past for Moms and Tots will no longer be available. We were inspired that people in organizations like RCNS find ways to reach out and offer their assistance. Providing two hundred dollars which allowed us to purchase tights for our Moms may seem like a small gesture of generosity, but the impact was more widespread than one might have thought. Most of our Moms not only continued to wear them regularly, but some (and this is not really their nature) went out of their way to mention how grateful they were to have received them. As you know, the Moms and Tots program is offered free of charge and is available Tuesday through Thursday from October to April. While they are learning, children are provided with a pre-school and school readiness programs in addition to lunch and snacks each day. The two thousand dollars in support we received from the Rotary Club of Norfolk Sunrise through the AGCO “Catch the Ace” proceeds was key to helping us provide transportation subsidies for Moms to get to the program, covering the costs for hot meals, as well as rent and learning materials for the children’s programs. At this time last year we were excited that two of our Moms were graduating with their high school diploma. As we approach June of this year we are elated as several of our Moms are set to graduate! Please extend our thanks for the financial and moral support which came from RCNS. Just as importantly though, thank you for the interest you have showed in what we do by taking the time to come out and see us, asking the questions and getting to know more about the programs. As we continue to find ways to face our challenges it is heartening to know there are thoughtful, generous, and supportive organizations like RCNS which contain people who are interested in hearing of our successes. 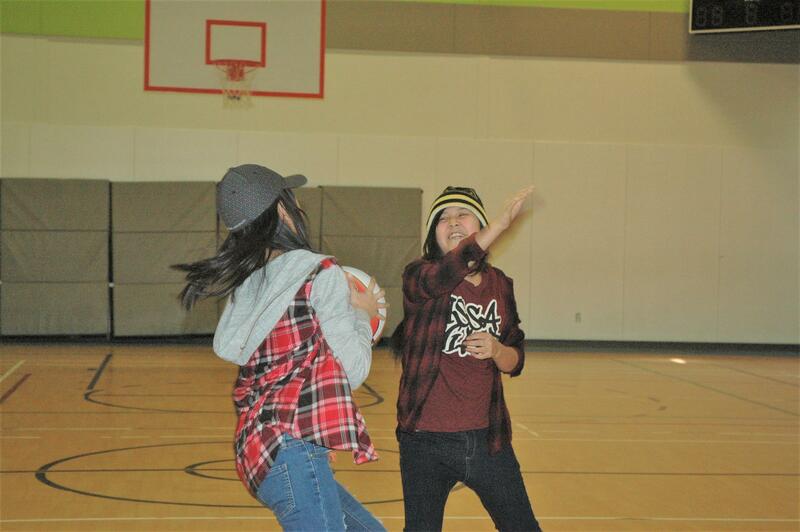 Neither snow, nor rain, nor heat, nor dark of night kept three Norfolk Sunrise Rotarians from traveling to the remote northern community of Pikangikum to deliver much needed supplies and offer basketball clinics. Jim and Marjorie Dawson, along with Pete Wheatley drove 4,400 km over six days, pulling a trailer which included mountain bikes for the bike program, 25 basketballs courtesy of the Toronto Raptors, instruments for the music program, over 100 skates, and 75 boots that were donated by generous local groups, businesses, and individuals. The Rotary Club of Norfolk Sunrise had community members trying to “Catch the Ace” for a very long time. 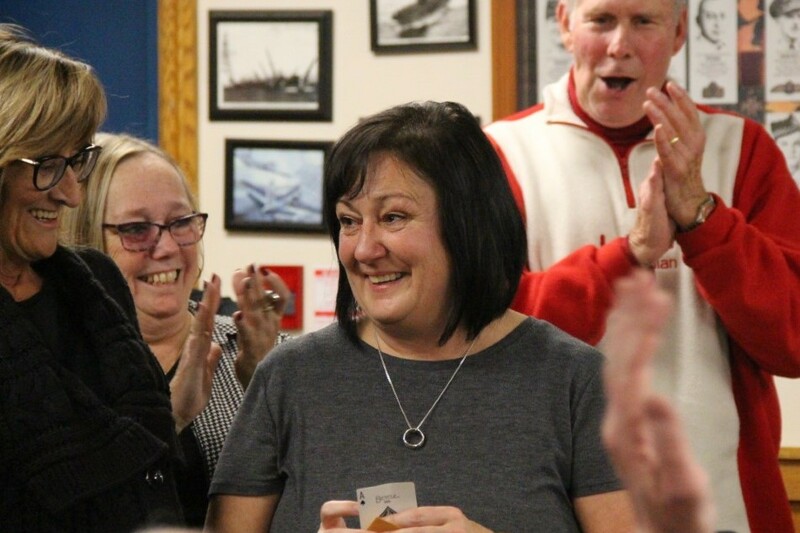 The draws were held each Friday at the Port Dover Legion. It was never anticipated the Ace of Spades would be revealed with the 52nd card and would last the full 40 weeks, the maximum number of weeks allowed by County gaming rules. Every week, until the Ace was revealed, a lucky winner received $500 in prize money. In total $100,000 was raised with $30,000 going to the winner, $20,000 given out in weekly draws, and $50,000 going to Rotary for distribution into the community. 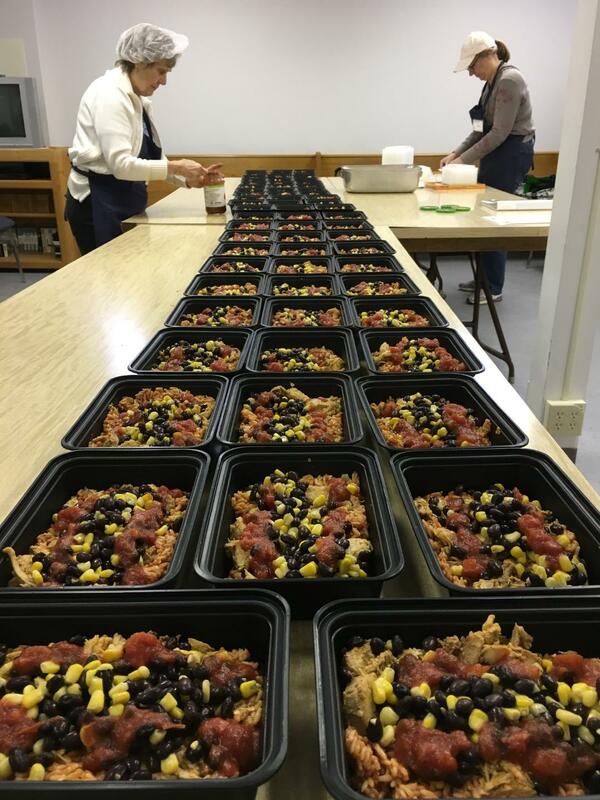 Why would a business owner in Simcoe donate free pizzas to support several community groups during their fundraising events? George Karamilev considers it his contribution to a great community. The Rotary Club of Norfolk Sunrise considers George’s contribution “service above self,” and recently recognized him with a Paul Harris Fellowship Award. The club says George, owner of Dominoes Pizza in Simcoe, and his staff, have worked tirelessly to supply free pizzas and a smile to events including the Cystic Fibrosis Lawn Bowling Tournaments, CIBC Run for the Cure, Terry Fox Run, and the M.S. Walk to name a few. Thousands of people have enjoyed the pizzas after these events. Recently they made free deliveries of football-shaped pizzas to the community Grey Cup Party in Teeterville. 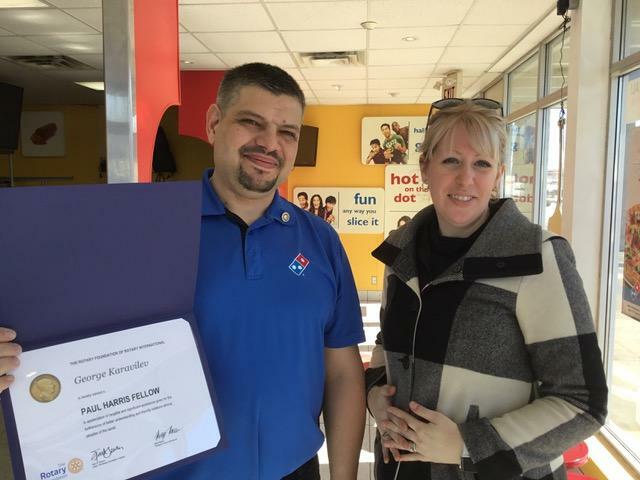 George has sold pizzas and donated the proceeds back to families in financial need due to illness. He sells $5 pizzas and returns the full proceeds to the Sick Kids Hospital. A Paul Harris Award is given to deserving Rotarians or community leaders that exemplify the Rotary ideal of “service above self,” going above and beyond to help others in the community and world wide. The Rotary Club of Norfolk Sunrise has donated $1,000 U.S. to The Rotary Foundation in George Karamilev’s name, in order to recognize his outstanding service to community. Lyndsey Ross-Duwyn, in picture with George, and Gail Catherwood presented the award to George on behalf of the Rotary Club of Norfolk Sunrise. You'll be inspired by this powerful message, as "we walk this earth together." Chief R. Stacey Laforme was one of the most liked speakers at the 2018 Rotary International Convention in Toronto, and has a very common sense and moving message for everyone who lives on Mother Earth. Jim used his Sgt-at-Arms opportunity to give a brief overview of his experience as a part of the 2018 Canada to Scotland Rotary Curling Tour. He noted the rewards, value and unique aspects of the tour and thanked his Rotary hosts as well as those in the club who had supported his great experience. Happy Bucks offered for each one. Shown here is Jim with the 'Bob Mackintosh TransAtlantic Rotary Curling Quaich' won by the 2108 Canadian team for the first time in 8 years. 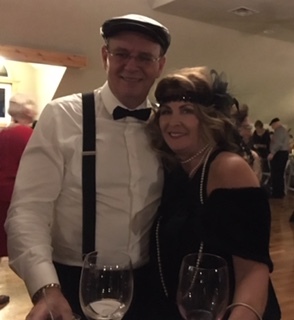 Our event was a huge success and Chef Tracy and her crew provided an outstanding delicious menu, sure to please any foodie, that was served throughout the evening. Right Roddie? Paulie (Zorad) was the doorman and he ensured no riffraff gained entry. Our keyboard player and soloist regaled the patrons with songs of yesteryear. The outfits were stunning. The poker table was busy all evening and no snitches ratted out our location. All was kept under wraps. Our drivers safely got everybody to and from, door to door. Thank you Nicolle’s and Dawson’s. Thank you to Jenni Mudge-Winters and the Ways and Means Committee for a superb event. More thanks to come from the committee for all who supported. Bravo RCNS!! Dennis McArthur is the final winner of $500 under this lottery license. Dennis did not find the Ace of Spades, however. All 12 cards were drawn and opened on January 4th, the final night of this lottery, before the Ace was found. 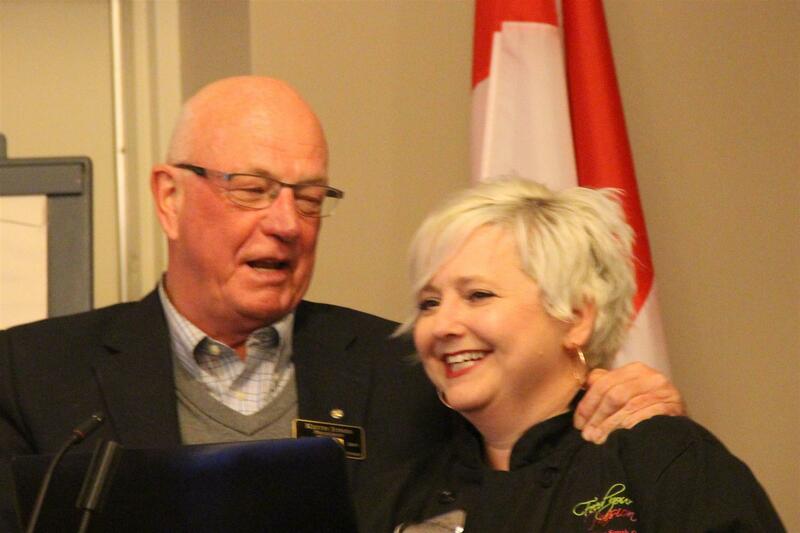 And the big winner is Nadia Watson, who took home the $30,000 cheque. Congrats to Dennis and especially to Nadia!! 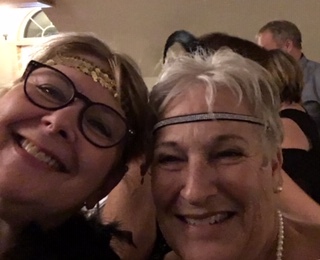 And thanks to Gail Catherwood and her very dedicated team of Norfolk Sunrise Rotarians who have spent their past 40 Friday nights at the Port Dover Legion to make this fundraiser so successful. Stay tuned for future plans.